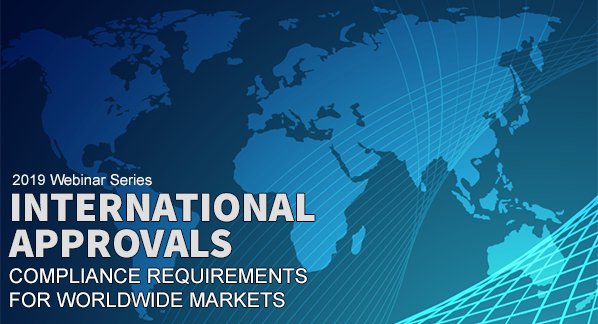 Join us for a free International Approvals webinar on the 2nd Thursday of each month at 1:00 PM ET/10:00 AM PT. Presentation will be between 30 to 45 minutes, with time for questions at end. These informative events will be presented by Washington Laboratories Academy. If your schedule won’t permit you to attend the live presentation, you can still register and receive a link to the recording that will be sent out later, but you must register 24 hours before the event time.